Well-equipped conference rooms are like a fine suit. They are the uniform for your business that expresses a particular image to your clients. In today’s business world, however, not all successful companies need a permanent office space to call home. Do you have important clients or business associates that you need to meet within a professional setting? You can provide that to them without breaking the bank. The services of virtual offices and meeting spaces take your client meetings to the next level. Are you looking to improve the professionalism of your important meetings? Read on to find out the benefits of rented meeting spaces. It’s important to convey to clients and visitors a professional demeanor and level of success. Create an atmosphere that is upscale and welcoming. It can be easy when you choose the type of conference room suited to your client’s needs. Rented conference rooms have a variety of sizes and appearances to choose from. Professionally designed, these spaces offer a modern business aesthetic that can set the tone for meetings. Impress your clients with high-end furnishings, an espresso bar, full reception area, and other amenities that make them feel valued. All these benefits come with your reservation, which saves you money and makes you look exceptional to your clients. One way to ensure you make a good impression is to have the tools you need at your fingertips. 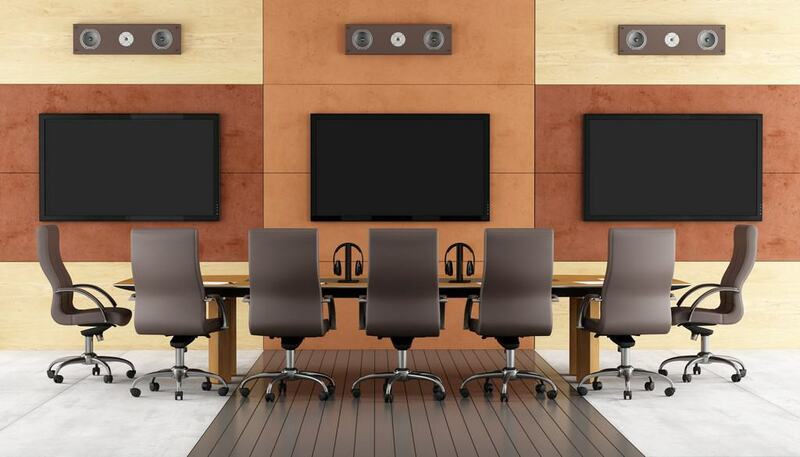 Instead of purchasing a wide variety of supplies and equipment that you don’t regularly utilize in your office, a conference room rental can provide the latest technology for one inclusive price. Unlike unprepared meeting places such as hotel meeting rooms, you’ll have access to everything you’ll need in a professional office setting. Do you need HD conference calling or presentation tools and software? Perhaps you need to notarize copies or fax a completed contract quickly. A business address to receive mail and paperwork can be part of the contract if that is what you need. These tools can help give you a client-facing workspace that suits your budget and business needs while eliminating the necessity of investing in them for the long term. As your business needs change, so too can the furnishings you utilize through a rented executive or conference space. Unlike a meeting at a coffee shop or restaurant, conference rentals ensure your sensitive business dealings stay private and secure. Whether discussing a new product launch or contracts with a non-disclosure agreement, your confidentiality and is paramount. Skip the fine dining in public and hire one of our many catering options to serve you instead. With a fresh meal and a closed meeting room, you can have the best of both worlds. There’s no need to save the business for after dinner. You can combine them into a more efficient and private meeting over your choice of meal. With so many entrepreneurs working from home or on the go, having a central place to entertain and work with clients is as essential as ever. Why source a permanent office space? You can provide for the occasional client meeting by choosing to rent space only when you need it. At 1222 Offices, our Executive Suites and Conference Rooms are the perfect solutions to today’s virtual office. Whatever your needs, we can provide a professional setting with all the amenities. Contact us today to discover how we can help you accommodate your ever-changing business needs.